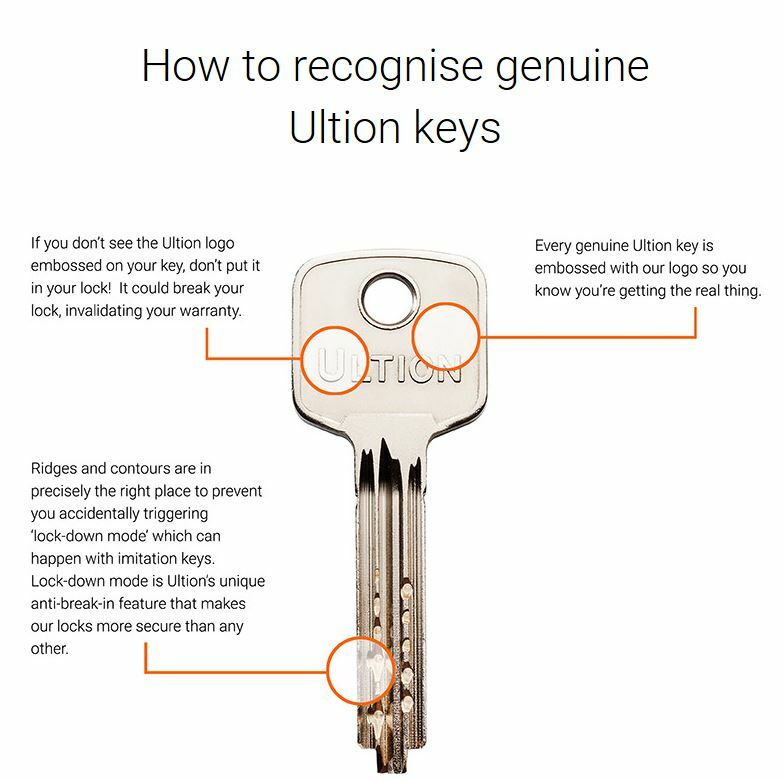 Because Genuine Ultion key blanks only come from the Manufacturer and the Manufacturer will only issue The Genuine Blanks to authorised dealers like Clements Locksmiths. In this day and age everything can be copied and there are imitation copies out there of the Ultion Lock key – I would say cheap imitation copies but from what I have seen online £15.00 for a key is not cheap at all !! and furthermore the feed back I have received is that theses keys have a high failure rate and do not work very good if at all in the lock. If you have had a Solidor fitted,it has more than likely come with an Ultion Lock & Key!! We are approved Ultion lock and key suppliers and can 100% Guarantee you that all our Ultion products are genuine direct from the Brisant Ultion factory we do not use copies that will invalidate your Ultion Lock Guarantee.